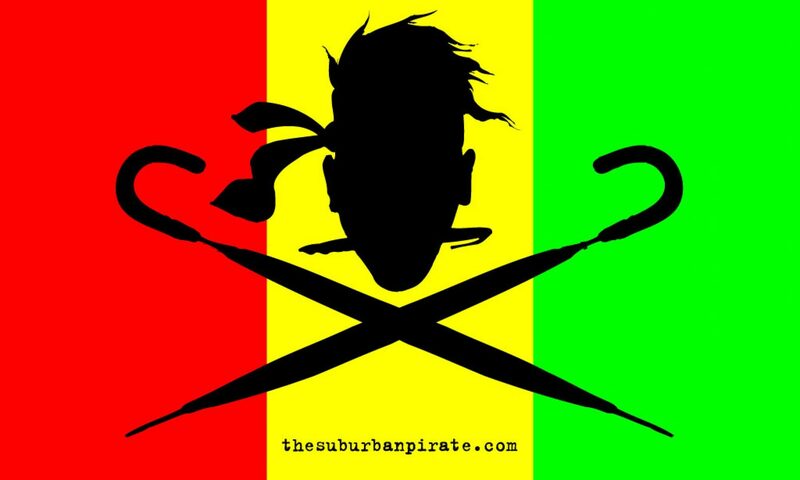 The Suburban Pirate’s main activities right now are involved with producing The Suburban Pirate Radio Show. The show, a live rambling dubbed tour of the suburbs, is performed by Reggie and Simon. For live work, we re-create the radio show with a collection of musicians, drums, violin and if we are lucky, theramin. Sly ( the late great Mark Arram) and Reggie’s two dub albums ( Middle Class Dub Volumes One And Two) and their low-fi acoustic album The Hatred Of The Middle Classes, can be found by searching for Sly and Reggie on Spotify. For Dub Save The Queen try our Youtube Channel. 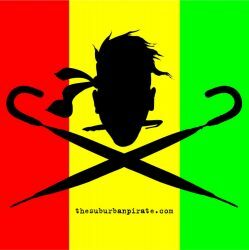 Email reggie at the suburbanpirate dot com for gigs and enquiries. Reggie at the controls. Simon (old boy) Wood at the scribbles.